OK folks, a brief posting for a cake I made last weekend as I am totally pooped! I would of thought I would have more energy now Spring has finally arrived, but as usual there is too much to do and too little time! I made some marmalade last Saturday so to make space for the fresh stuff, I went through the cupboards to find any of last years marmalade. There was only one jar left so a third went into this cake. I just need to find a recipe for the rest – any suggestions? 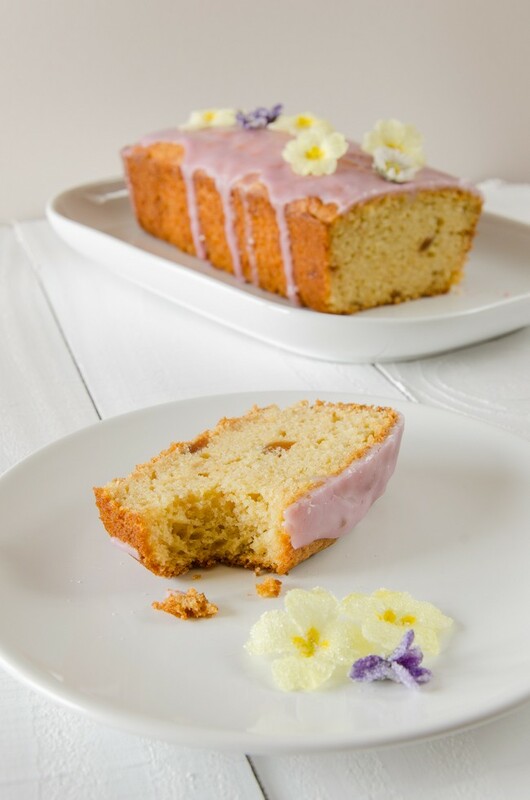 This cake is lovely and zing and oh so spring like, especially with the crystallised flowers (ahh, pretty). I saw a recipe in a magazine using them recently and jotted it down as something to do. I was thinking of how to decorate this cake and these flowers were surprisingly easy. Take one egg white and add a dash of cold water and whisk to break up the white. Use a small clean paint brush to brush the egg white all over the flowers and then hold over a second bowl and sprinkle over caster sugar. Leave on a baking rack to dry for 24 hours. 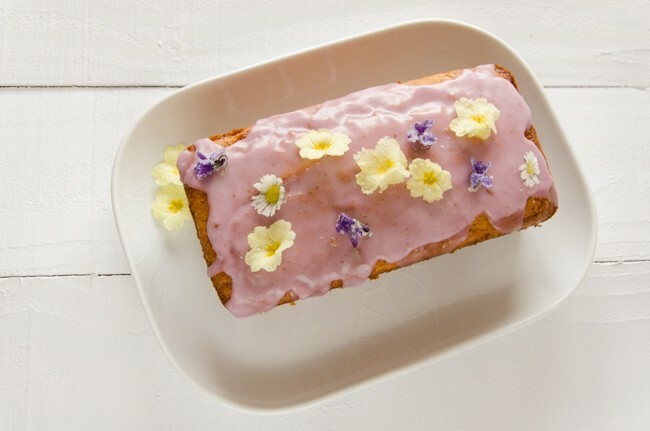 Make sure you use edible flowers (see this website for a good list of flowers). I used primroses, daisies and violets. I then used the left over egg and sugar in the recipe so nothing was wasted. I am happy when nothing is wasted! Preheat the oven to 170 C / fan 150 C. Grease a 1lb loaf tin (or a 6 inch/15cm round cake tin). Cream the margarine and sugar in a large bowl. Add all the other ingredients and use hand mixer to mix well but don’t over do it; it should look like thick batter. Don’t worry about the occasional wee lump, remember there’s orange rind in the mix! Pour the mixture into the prepared tin. Bake in the center of the preheated oven until golden brown, about 1 hour. Allow to cool for 5 minutes in the tin, then tip out onto a wire rack. While the cake is still warm, spread a thin layer of warmed marmalade over the top. Allow to cool, then slice and enjoy. 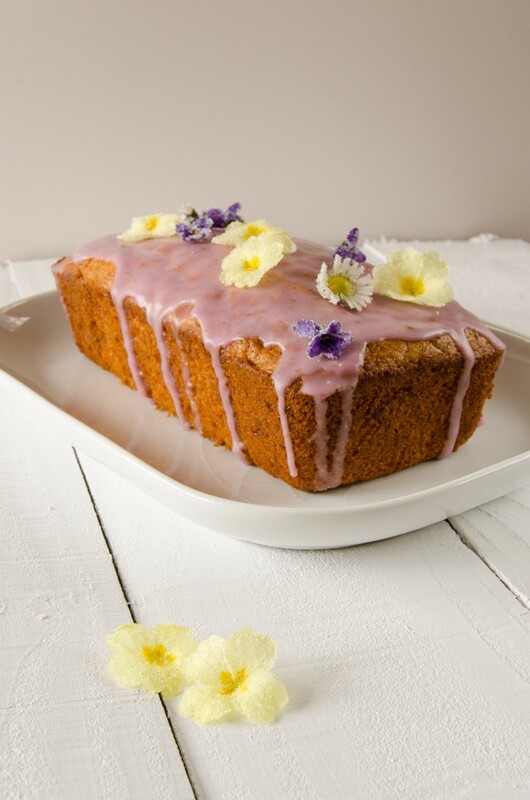 Alternatively, when cool ice with glace icing and decorate with crystallised spring flowers.